The Spooky Vegan: Limited Edition God Module "Séance" Box Set Available for Pre-Order! 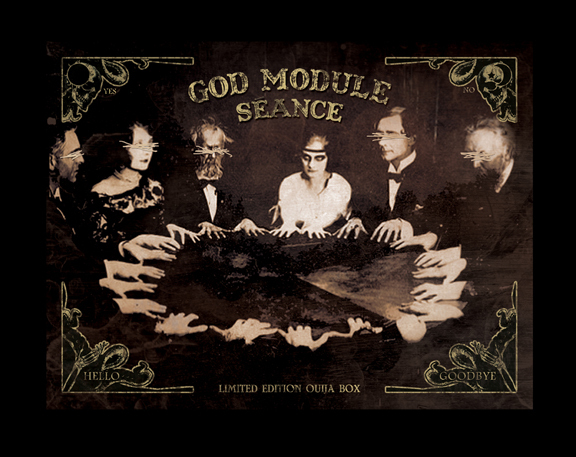 Limited Edition God Module "Séance" Box Set Available for Pre-Order! 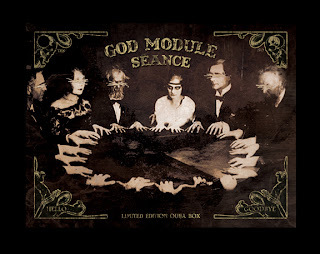 One of my absolutely favorite bands and purveyors of "spooky dance music", God Module, have announced a very special limited edition box set of their new CD, Séance! Webster’s Dictionary defines the term “séance” as a spiritualist sitting to receive spirit communications. With this new album, we find God Module presenting a brutal, uncompromising set of otherworldly songs. Hypnotizing rhythms, ritualistic hooks, and lyrical content exploring the darkest corners of the human psyche all blend seamlessly into the singular, demonic vision that is Séance. God Module mastermind Jasyn Bangert is once again joined by Courtney Bangert as well as new member Clint Carney (System Syn, Imperative Reaction). 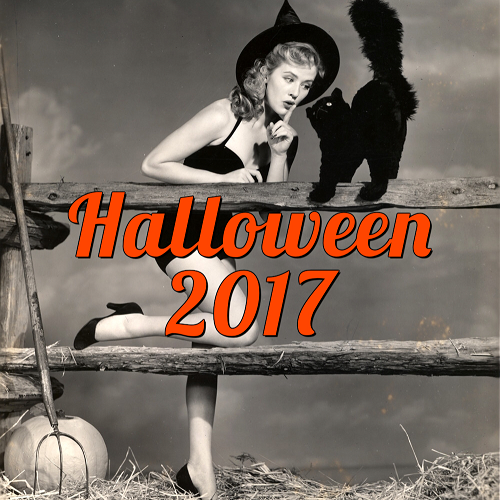 Séance has opened a doorway to something dark, something evil. Only 100 will be created and assembled by God Module! 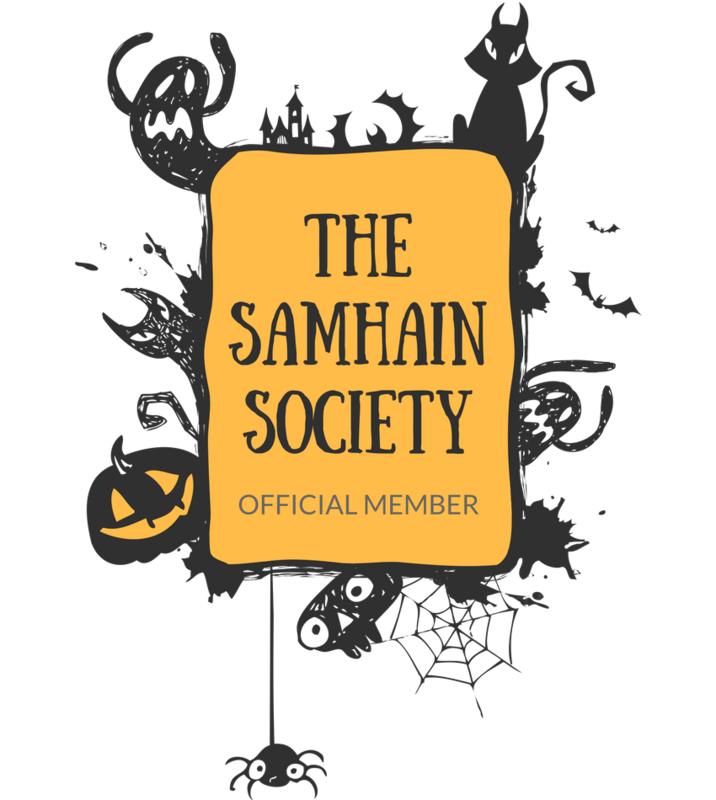 They will be individually numbered and signed by the band. 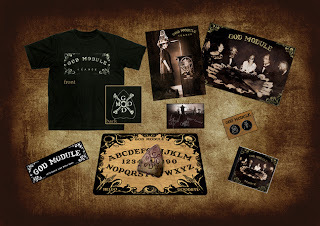 All items are packed inside a 14.5 x 11.5 faux leather bound hard box, including a custom God Module Ouija Board that is suitable for framing or contacting the beyond! NO exclusive element of these packages will be sold separately. To keep these exclusive, we are offering this as a complete package ONLY. 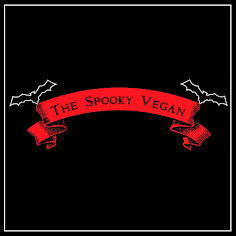 You cannot buy the glow in the dark version of the shirts, custom box, art print, button set, postcard or Ouija board and planchette separately! The shirts will be available in all sizes (men's S-3X - girl shirts S-XL (baby doll type). Each shirt will be custom printed per order after the pre-sale is over. That means you do not have to worry about us running out of your size while the package remains available. This is a PRE-ORDER so all box sets and bundles will be sent out on or before the release date of the CD which is September 13th 2011! Now that is a must have for the graveyard!!! Thanks for the heads up!! Cool package. A favorite band of mine, The Black Dahlia Murder, did a similar box set release for their "Ritual" cd this past June. 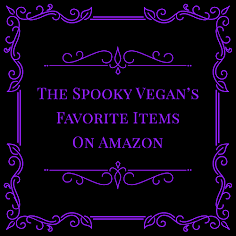 Came with a ouija board, "coffin nails," incense cones, and a sage wand. I like that bands are getting more creative with their releases now.